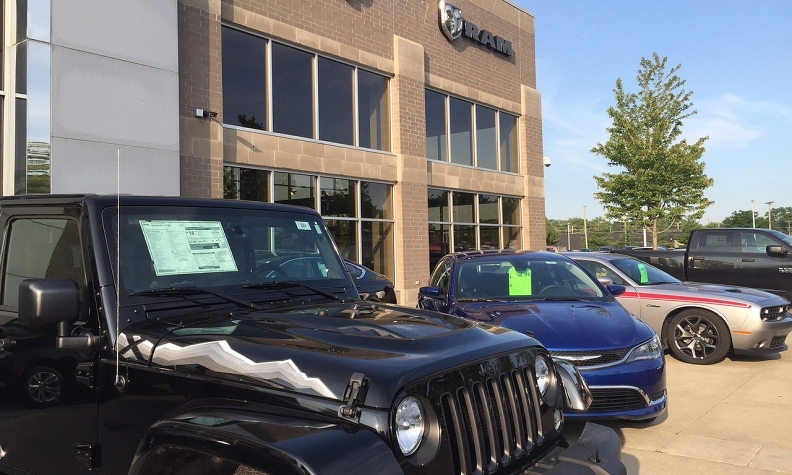 There was a bit of chest-thumping Wednesday when it was discovered that Fiat Chrysler in June had sold 278 more vehicles at retail (excluding fleet sales) in the U.S. than did rival Ford Motor Co. Various news stories -- including some in Automotive News -- said it was the first month in which Fiat Chrysler (and Chrysler beforehand) had beaten Ford Motor. But one problem: It wasn’t the first time. In fact, it’s happened at least twice before, according to company sales reports -- once in November 2006, and again in one of the most tumultuous months for the industry in recent history, February 2009. November 2006 was the month that Ford CEO Alan Mulally decided to borrow $23.6 billion to support the financially strapped company. In February 2009, what was then Chrysler LLC sold 66,658 vehicles at retail, according to company records. During that same month, a Ford executive said the Blue Oval had sold 32 percent of its 96,044 vehicles that month as fleet. Even with the maximum benefit of rounding, that would translate to about 65,790 vehicles that Ford had sold at retail. A Ford spokesman declined today to provide the exact number of vehicles that the automaker had sold at retail in February 2009. Of course, February 2009 was during extraordinary times. When the February sales figures were reported in March 2009, Chrysler was less than two months away from entering bankruptcy. That month, Chrysler had spent an average of $5,566 per vehicle on incentives to move the metal -- almost $2,000 more than any other automaker that month, according to Edmunds.com. In a note to Automotive News today, Press said the events in February 2009 were “when the invincible Chrysler dealer body sold down inventory in a heroic effort to keep the plants running.